Agenda 21 emerged full-blown from the U.N. Conference on Environment and Development (UNCED) aka The Rio Summit, in 1992. Sixteen to seventeen thousand “delegates,” who were somehow given official status as officers of the U.N., traveled from all over the world to take part in an 11-day party in Rio De Janeiro, where they were presented with Agenda 21, The United Nations Programme of Action from Rio, a more than 300-page document that they were asked to approve, though it seems unlikely that many of them could have had time to even read it. Unsurprisingly, they voted to accept it, and it was suddenly official United Nations policy for the world. I recently spoke with a delegate to Rio from Santa Cruz, who took exception to the way I’ve characterized the Rio Summit above. After more than 20 years, she entirely believes that the document was created by agreement at Rio, that its ideas and principles are unimpeachable, and that it has only been improved on since then. This is the genius behind the ways this program of worldwide social engineering has been rolled out, as well-meaning people are enrolled as supporters through poetic-sounding but fuzzy phrases, pledges of concern for the masses of humanity, and clever misdirection. 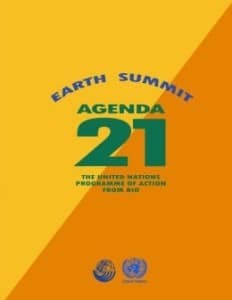 In fact, the Agenda 21 document was largely a creation of Maurice Strong, a mysterious man with a double-tracked career as both a high official at the U.N., and as a billionaire financial insider extracting the Earth’s resources in the petroleum and mining industries. Strong first took the world stage prominently as “Secretary General,” a title the U.N., for whatever reasons, adopted directly from communist and socialist organizations, of the United Nations Conference on the Human Environment in Stockholm in 1972. Strong’s very scant bio on Wikipedia says that he “met a leading U.N. official in 1947 (when Strong was just 18) who arranged for him…to serve as a junior security officer at the U.N. headquarters in Lake Success, New York” (before the new U.N. building was built on land donated by the Rockefellers in Manhattan). Just one year later, Strong became a trainee in a high-powered brokerage in Canada, “where he took an interest in the oil business,” and was transferred to an office in “the Alberta oil patch.” There he was quickly hired as an assistant to an oil-industry leader, Jack Gallagher — All while maintaining his connections at the U.N. In 1971, before the conference in Stockholm, Strong commissioned a report on the state of the planet, entitled “Only One Earth: The Care and Maintenance of a Small Planet.” The report summarized the findings of 152 leading experts from 58 countries in preparation for that first U.N. meeting on the environment. This was the world’s first “state of the environment” report. Following the Conference, Strong became the Chairman of the new United Nations Environment Programme (UNEP) until 1975, and served as a member of the Brundtland Commission (below). 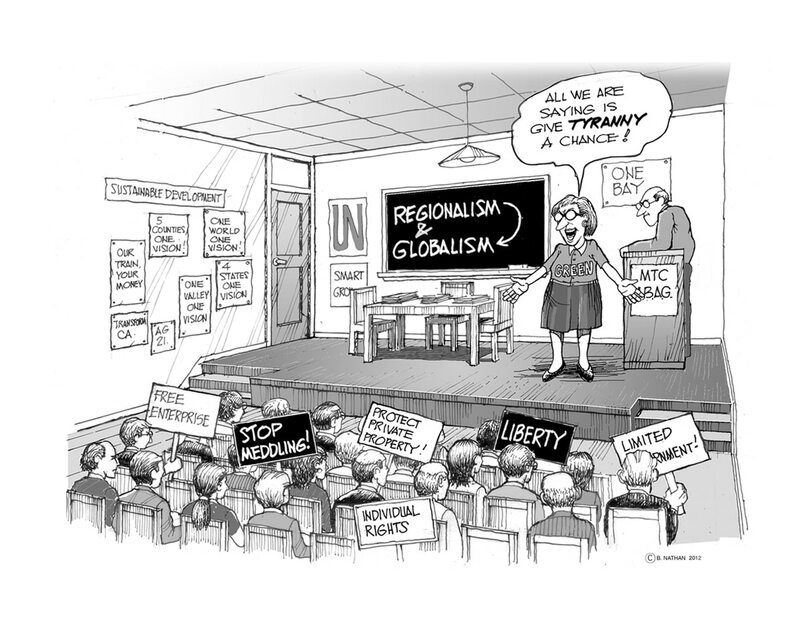 The 1972 conference was followed by several other major conferences as well as sets of meetings all over the world laying out the shape of this emerging globalist agenda. Despite the elusive nature of this long process and the ways it has remained under the radar of the mainstream media, it has somehow remained on track with constant reiterations. 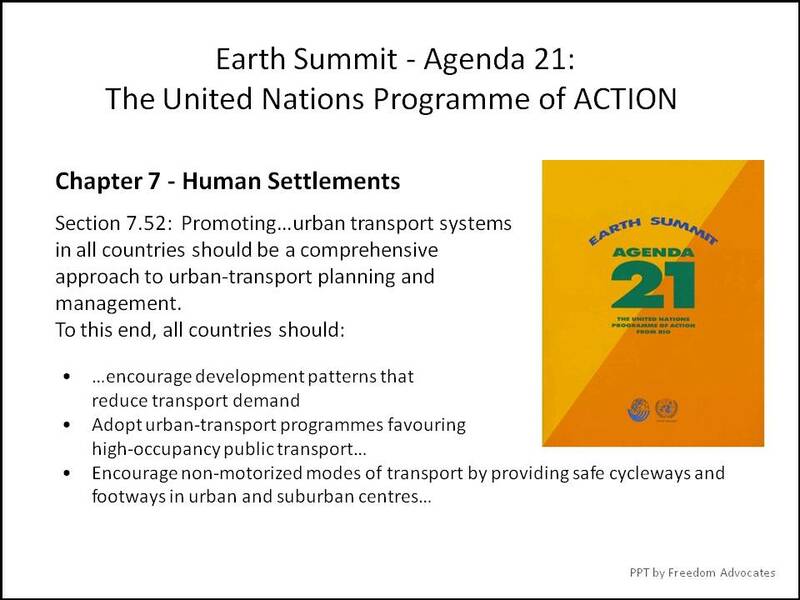 In 1976 there was the UN Conference on Human Settlements which produced a Declaration containing 26 principles concerning the environment and development, an Action Plan with 109 recommendations, and a Resolution. This preamble is followed by 65 pages of very specific land use recommendations. 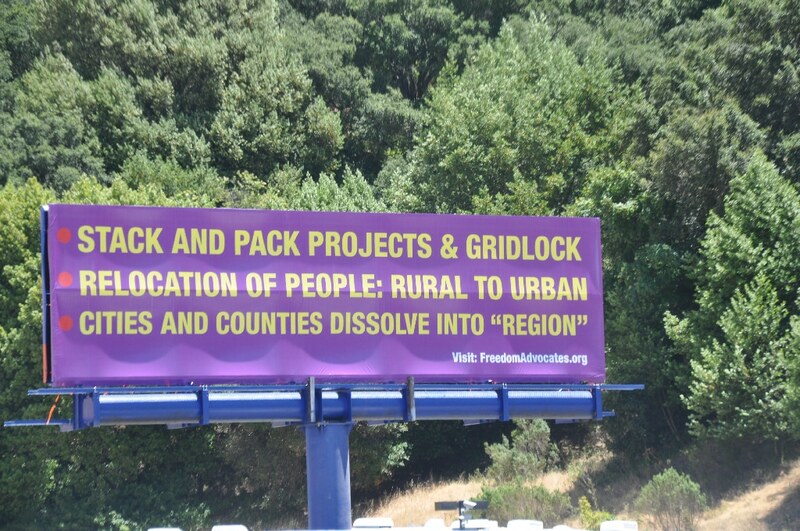 Among the many recommendations are: A-1) Redistribute population in accord with resources, D-1) Government must control the use of land to achieve equitable distribution of resources, D-2) Control land use through zoning & land-use planning, D-3) Excessive profits from land use must be recaptured by government, D-4) Public ownership of land should be used to exercise urban and rural land reform, and D-5) Owner rights should be separated from development rights which should be held by a public authority. Then, in the fall of 1983, the 38th Session of the United Nations General Assembly passed a resolution to create a commission “to propose long-term environmental strategies for achieving sustainable development to the year 2000 and beyond” (emphasis added). Gro Harlem Brundtland, former (and later) Prime Minister of Norway and Vice President of the Socialist International (sometimes called “the cradle of globalism”) was appointed to chair the commission. In her forward to Our Common Future, the 400-page report from what would become known as The Brundtland Commission, she wrote, “‘A global agenda for change’ – this was what the World Commission on Environment and Development was asked to formulate. It was an urgent call by the General Assembly of the United Nations….” With this conference, the term “sustainable development” first appeared. It’s from this long-term plan which emerged 20 years before the 1992 Rio Summit, that the many seemingly friendly terms such as Sustainability, Smart Growth, Resilient and Walkable Communities, and High Density Urban Mixed-Use Development come. It seems like no one had ever heard these phrases 10 years ago, but that now they’re everywhere we look. 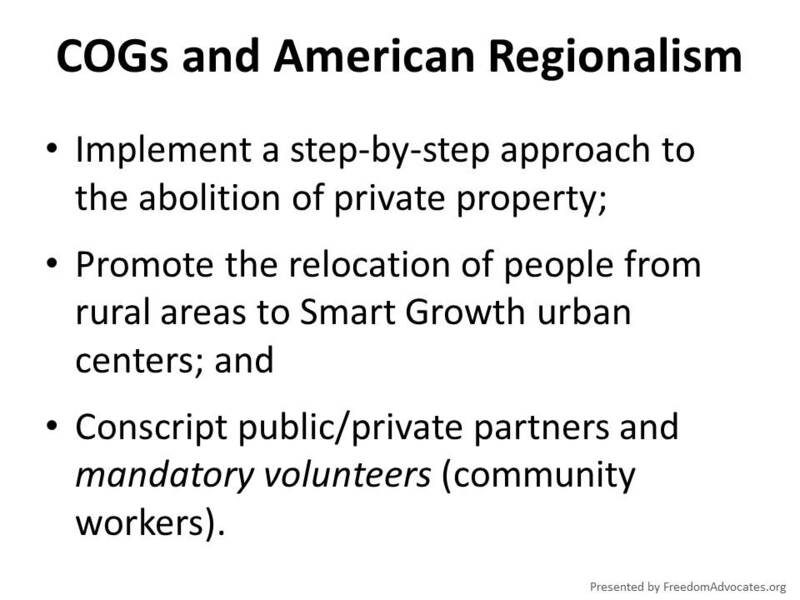 Among other key terms are: Equity, Affordable Housing, Consensus, Social Justice, Human Settlements, Watershed, Facilitator, Best Management Practices, Outcome Based Education, Habitat Restoration, Quality of Life, Benefit of All, Public/Private Partnerships, Common Good, Collaborative, Inter-disciplinary, Stakeholder, School to Work, Visioning, and the all-important Regional. If you see these terms, particularly in combinations, you can be sure you’re looking at language dedicated to implementing this agenda. In 1992, 172 governments attended the Rio Summit, with 116 sending heads of state. There were also 2,400 people from U.N.-connected NGOs. Then President George H.W. 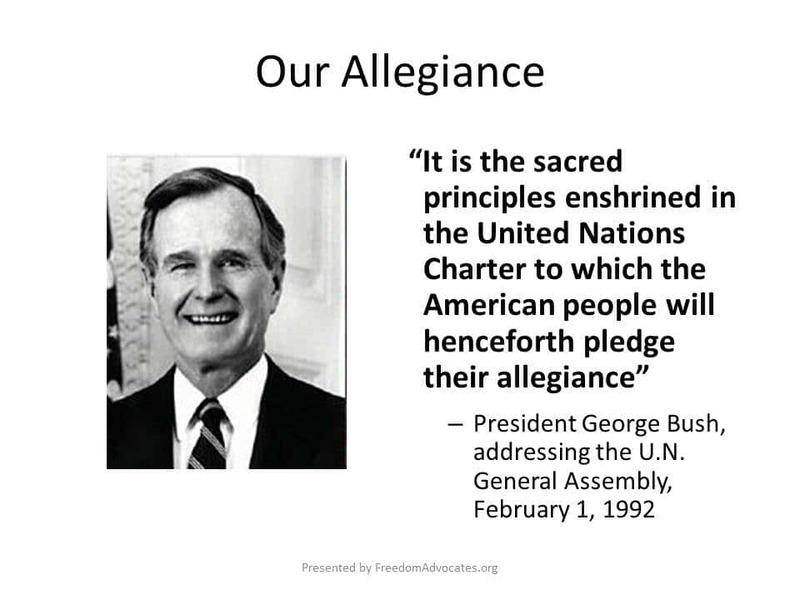 Bush was there on Prince Charles’ yacht, where he signed the Agenda 21 document with absolutely no legal standing to do so. In 1993, shortly after Bill Clinton took office, Nancy Pelosi helped, with 33 original co-sponsors, to introduce legislation “to implement Agenda 21.” The bill passed the house, but was stopped in the Senate. 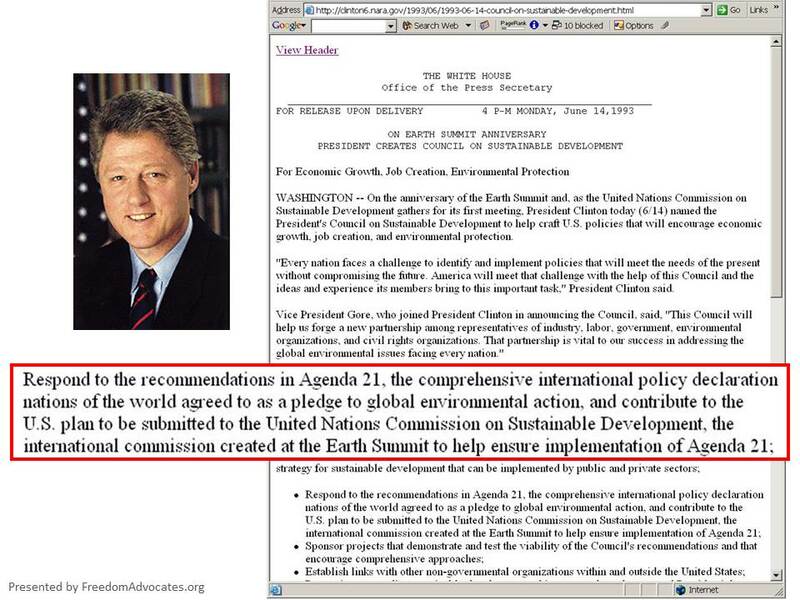 But, with clearly international pressure to advance the program, in June 1993 Democrat Clinton created the President’s Council on Sustainable Development which has placed Sustainability Officers in every federal department and agency since then. 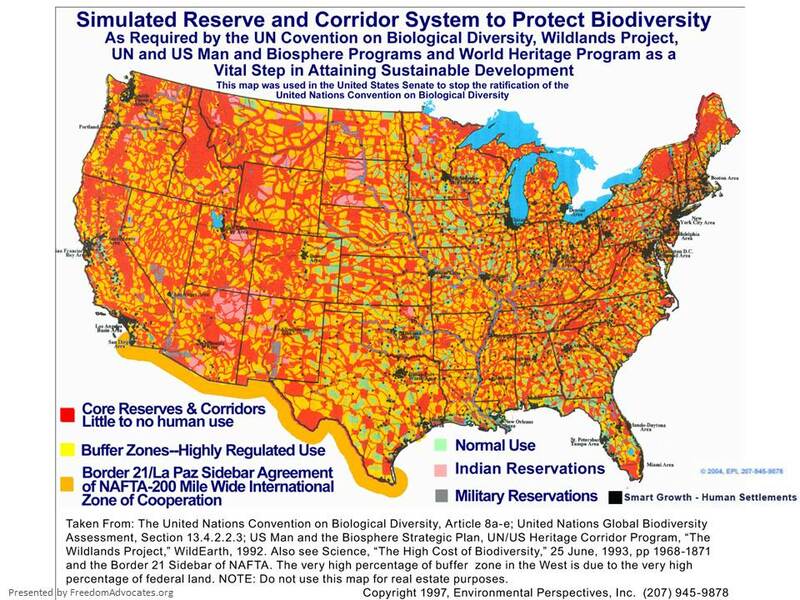 This has resulted in administrative regulations enforcing Agenda 21 policies as (possibly fraudulent) hard law, and in huge distortions in federal funding that have forced States to adhere to federal dictates. 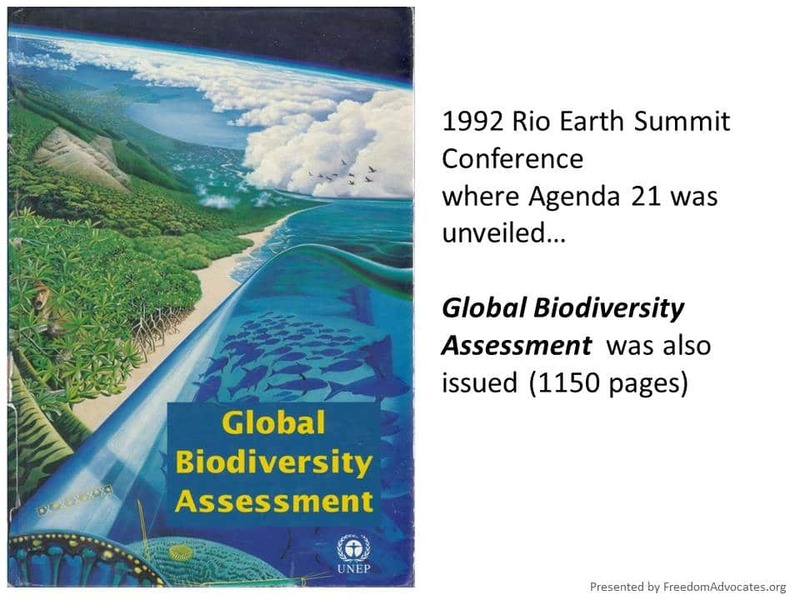 An international treaty, the Convention on Biological Diversity (CBD), was also presented at the Rio Summit for signing, and was eventually brought to the U.S. Senate for ratification in 1994. 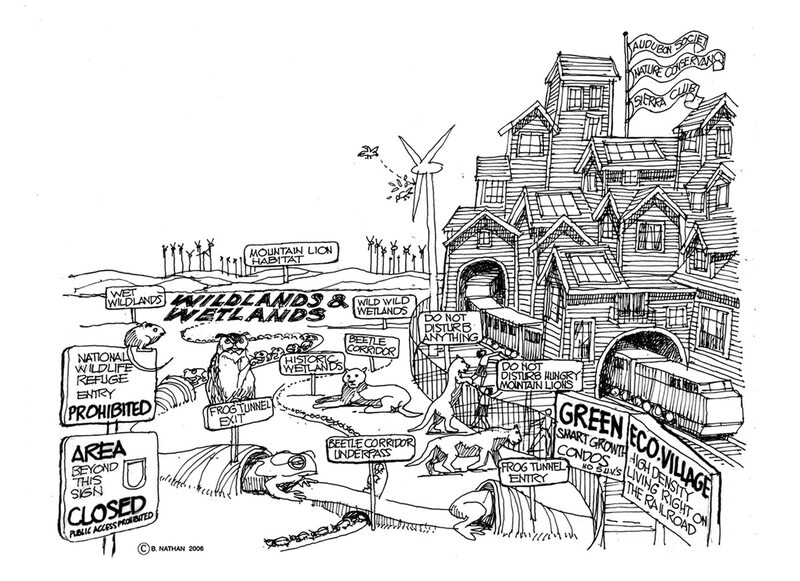 At first, it looked like it would pass, but at the last hour, text from a book Global Biodiversity Assessment (GBA), which was not to be published for another year and a half, was leaked to staff of Senators, along with the now well-known Biodiversity Wildlands Map, which showed graphically the plan to move Americans off the land and into dense “human settlement zones.” The Convention wasn’t ratified, while the MSM reported that the GBA book did not exist. 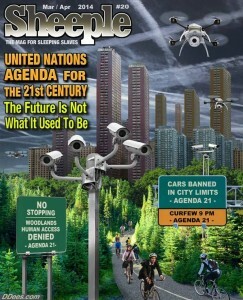 Congress has, so far, refused to implement Agenda 21 as policy for the United States of America. But it has been advanced by Presidential edicts. 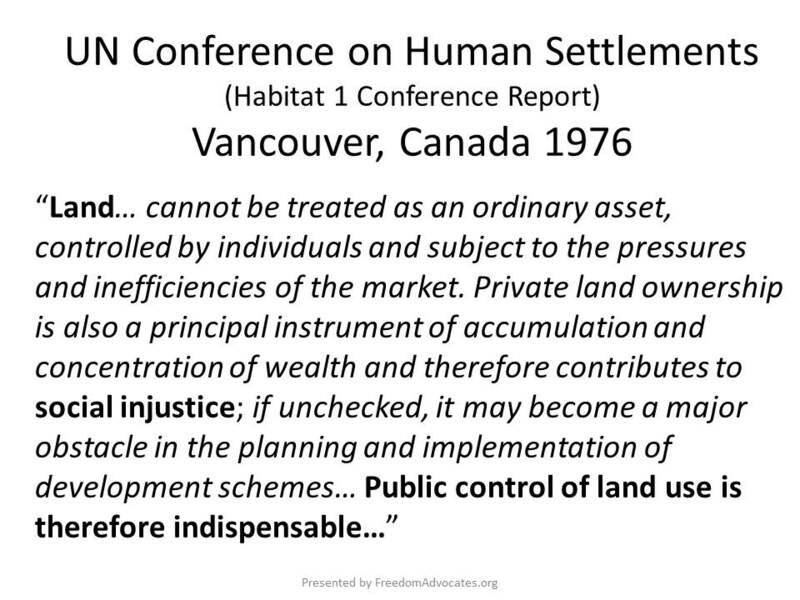 Social justice, urban renewal and development, the provision of decent dwellings and healthy conditions for the people can only be achieved if land is used in the interests of society as a whole. 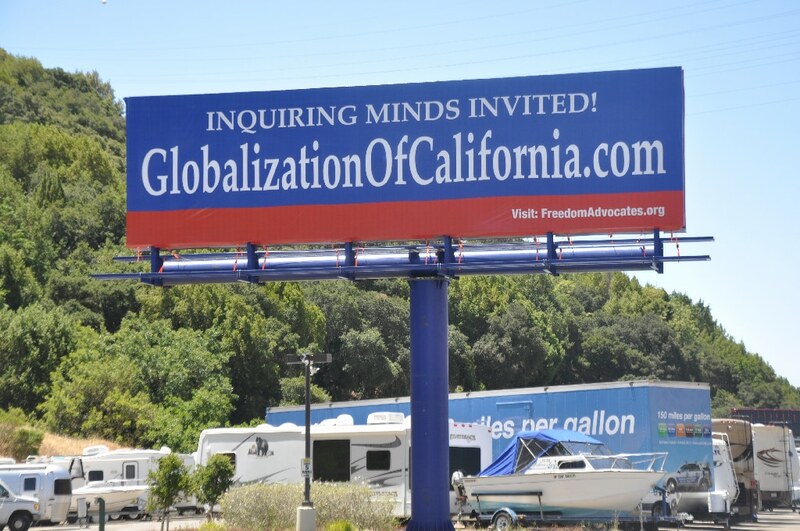 Santa Cruz County seems to have been targeted for early implementation of Agenda 21. 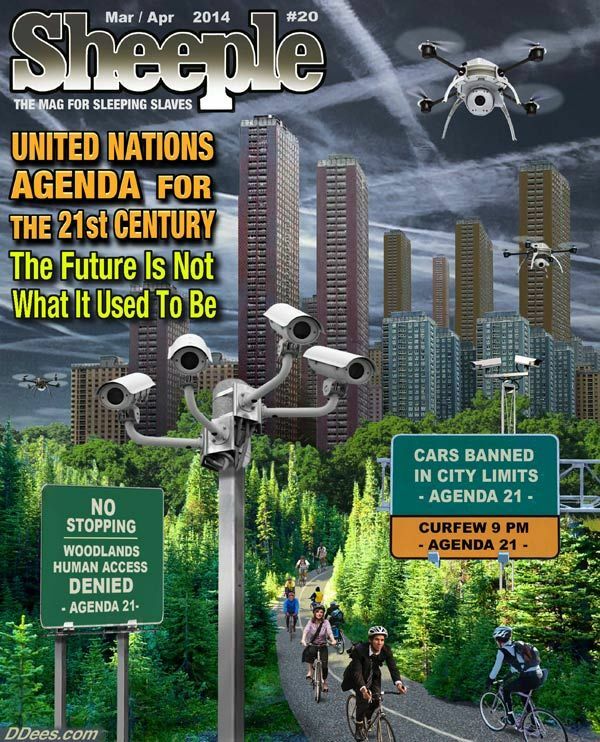 Two years before Agenda 21 was unveiled in 1992, the voters of the County passed Measure C, “The Decade of the Environment ” containing many of the key tenets of the U.N. Program, and which has been reaffirmed every ten years by the Board of Supervisors, and is reported on regularly by the Planning Department. 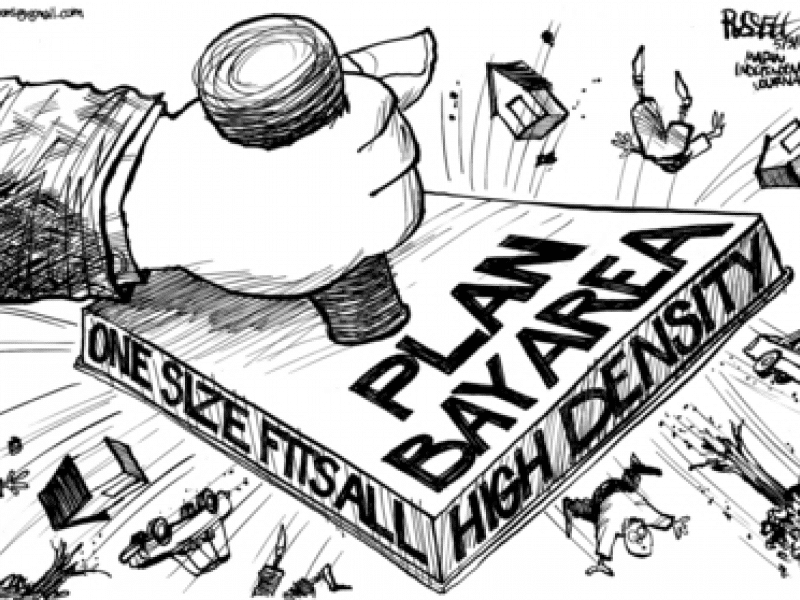 The Supervisors also fell into step with the Agenda in 1993-94 when they “officially approved the process” of the “Sustainable Santa Cruz: Local Agenda 21” 100-page planning guide created by Action-Santa Cruz County and the Santa Cruz Chapter of the United Nations Association. 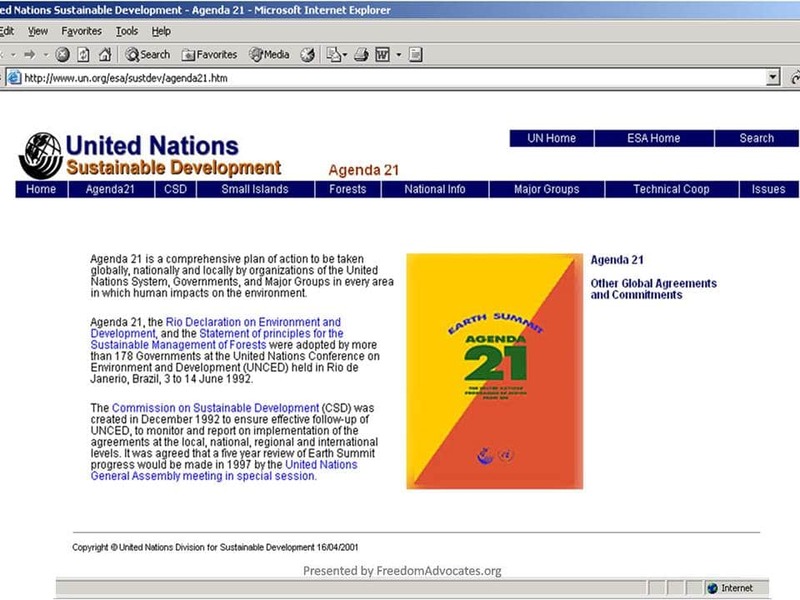 This type of document was directly called for in Agenda 21 itself — In Chapter 28, “Local Authorities Initiatives,” the first objective listed is “(a) By 1996, most local authorities in each country should have undertaken a consultative process with their populations and achieved a consensus on ‘a local Agenda 21’ for the community…” Of course, this directive was unknown in most of the rest of the U.S. In our society, the direct taking of people’s properties is, so far, unacceptable to most people. What has happened instead, certainly in Santa Cruz, is the use of permitting processes, zoning and taxation, including the infamous “Red Tags,” to gradually take away the productive use of their land from property owners without compensation. Though a relatively small county, Santa Cruz has, after L.A. County, the second-largest planning department in the State. There are currently thousands of red tags on record here, and, according to some counts, hundreds of owners have been forced off their properties, which have, in many cases, been transferred to insider “Private Partners” through practices many say are corrupt. Frequently, after the new owner appears, zoning is changed or permits are issued for new uses. It is getting increasingly hard to get permits for single family homes, while permitting is easier to get for “High Density, Mixed Use” (typically floors of small apartments above retail spaces of questionable utility – AKA “Stack ‘n Pack” housing). The Santa Cruz Supervisors are in the process of creating a new tax to fund this high-density “Low Income” housing through an “Affordable Housing Assessment” on all new construction, including additions, in the County. This will raise the cost of building a house by perhaps tens-of-thousands of dollars. 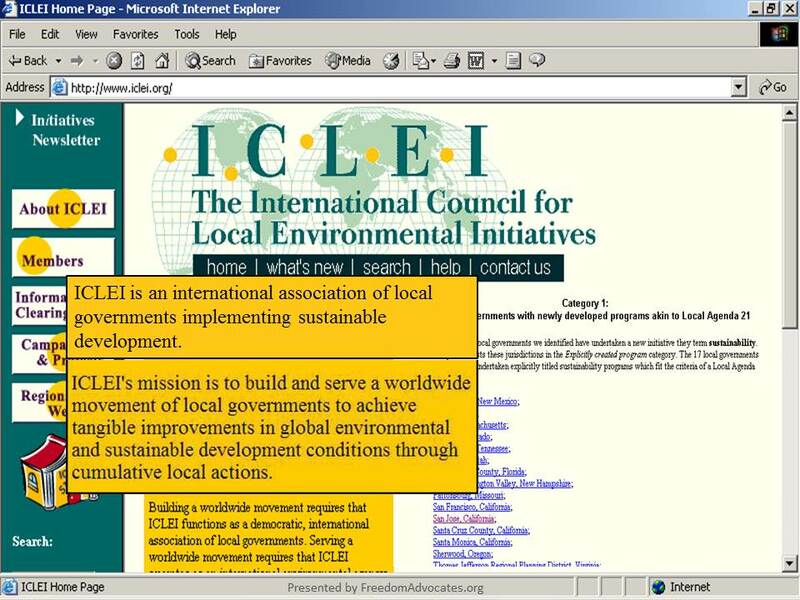 International Council for Local Environmental Initiatives — or ICLEI (pronounced Ick-ly) is a U.N. NGO that had its founding meeting in 1990 in the General Assembly chamber at the U.N. building in Manhattan. 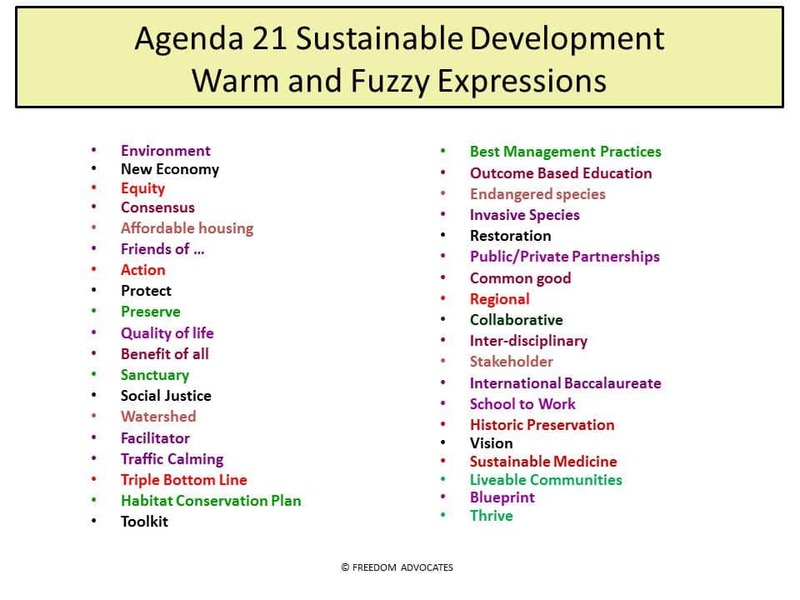 ICLEI staff wrote one of the chapters of the Agenda 21 document, under the direction of Maurice Strong. Santa Cruz City and County have both been members of ICLEI since its inception, though this has been made as obscure as possible by local officials over time. 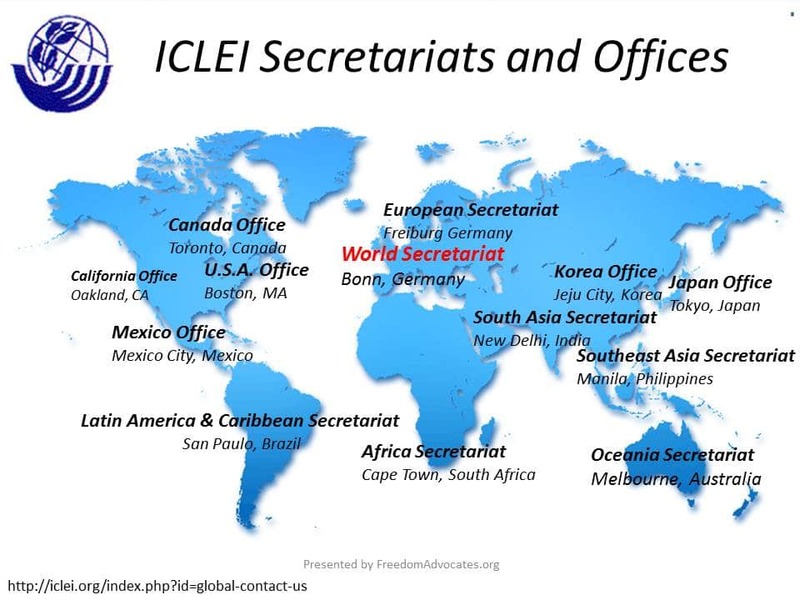 ICLEI works to bring top-down policies from the U.N. globalist agenda to local communities under the guise of being guided by its membership. 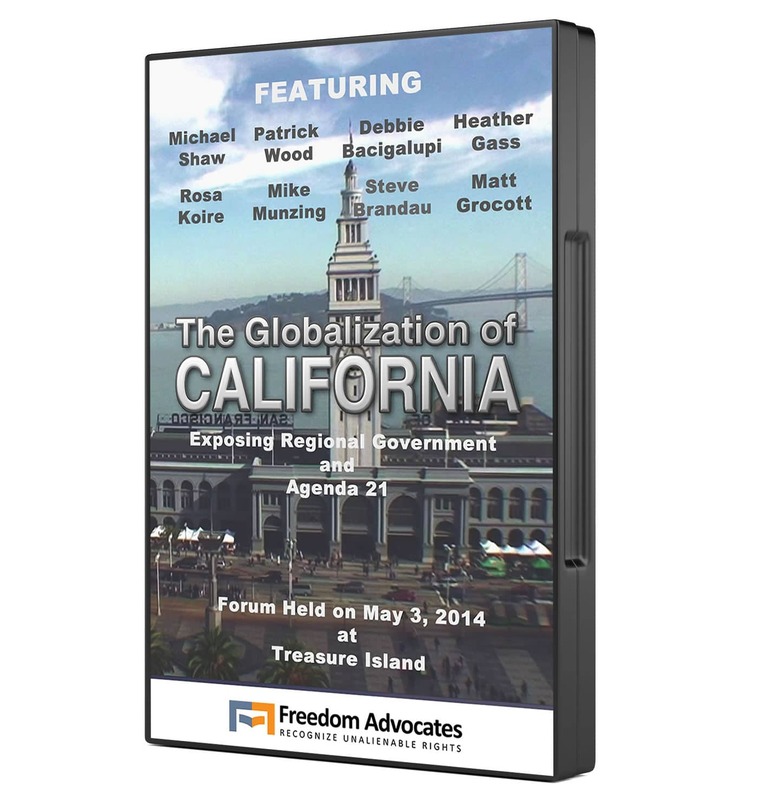 ICLEI was directly involved in the creation of California bills AB 32 and SB 375, mandating severe ongoing restrictions on our “greenhouse gas emissions” in the name of the heavily-pushed and yet highly questionable theory of “global warming” caused by CO2. ICLEI was then hired by hundreds of cities and counties in California to help them draft the “Climate Action Plans” mandated to help reach the Greenhouse Gas Reduction Goals set in AB 32. This is a serious conflict of interest violation by this formal arm of the U.N.
Regionalism — Regional “governance” is a concept that has been advancing in the U.S. since World War II. Regionalism has been extended across America primarily through executive presidential action, including Nixon’s creation of multi-state Federal Regions, and through confusing provisions of Congressional “Acts” which require the action of Regional Planning Agencies or Councils of Governments (COGs) in order to secure the more and more essential federal funding needed for major public works. Regional Agencies are composed of appointed officials from all levels of local government, and are not subject to direct input by voters. 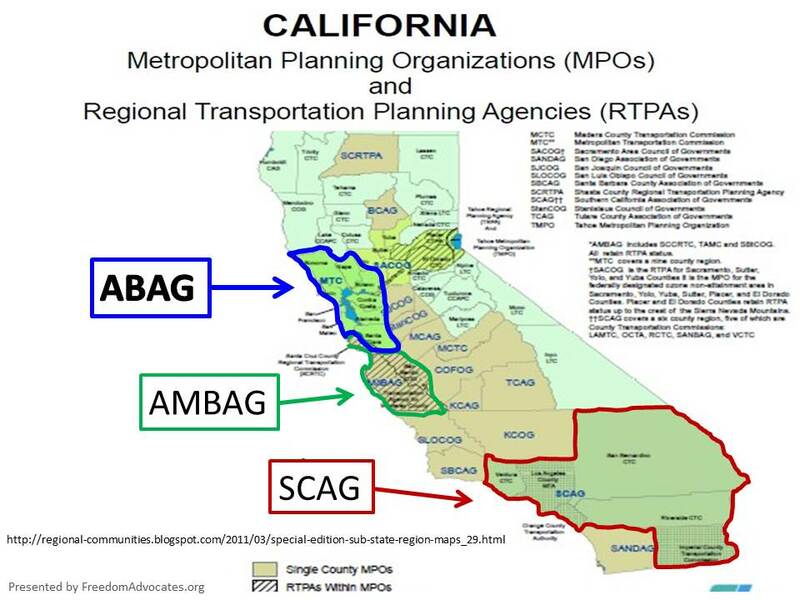 Our local COG is the Association of Monterey Bay Area Governments (AMBAG), founded in 1968, two years after the U.S. Model Cities Act set up the framework for AMBAG to be a funding conduit. 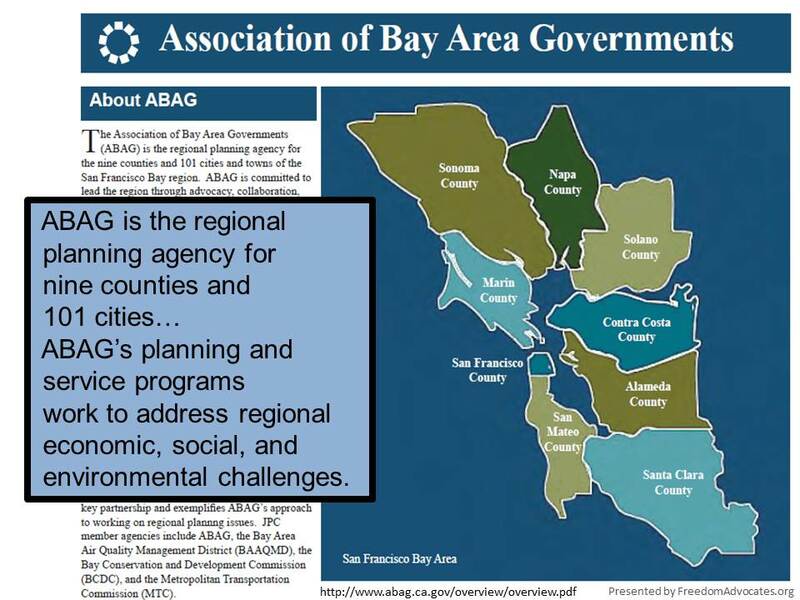 The COG for the nine Bay Area Counties is ABAG, the Association of Bay Area Governments. 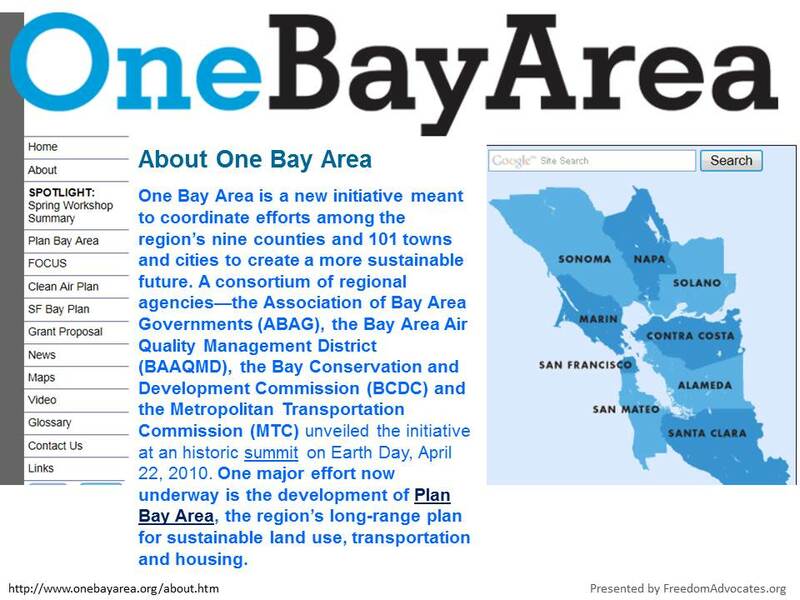 ABAG is working with ICLEI to create the “One Bay Area” program. 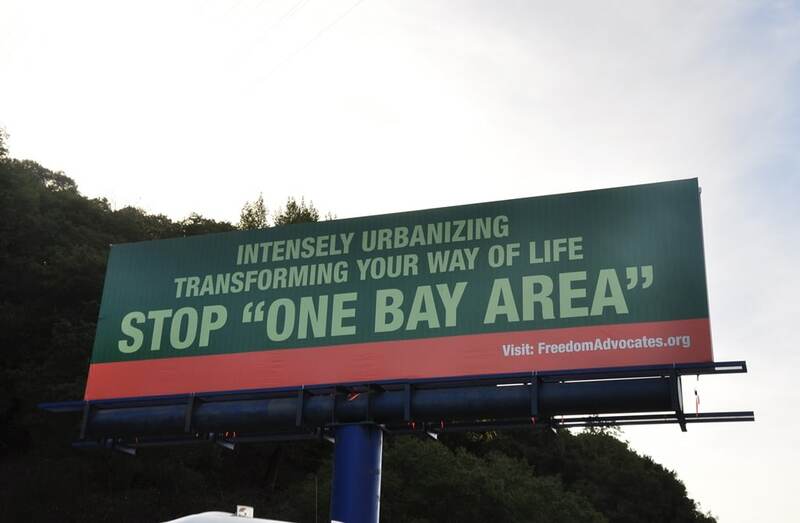 One Bay Area is a major initiative to promote the top-down plan to implement Agenda 21 around the San Francisco Bay. 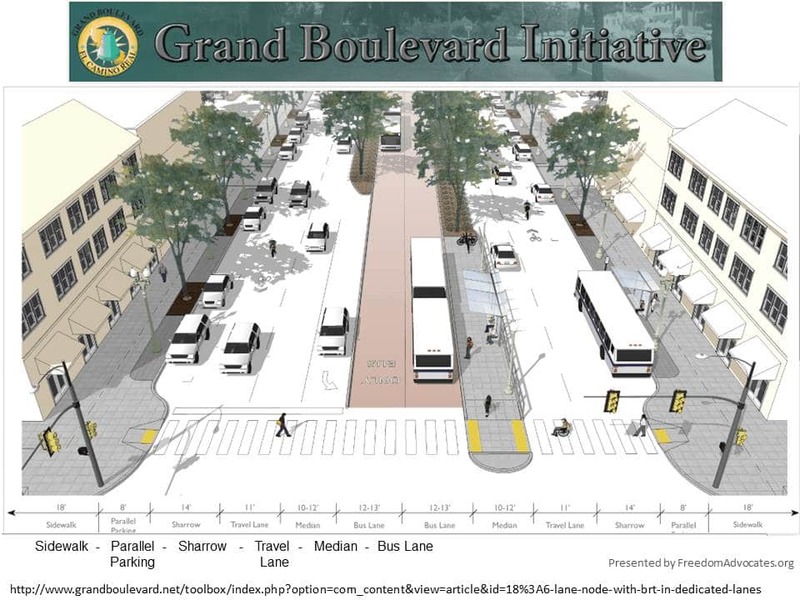 This plan for a region containing 7.5 million people, is designed to entirely remake the region in the image of Smart Growth, high-density housing and government transportation planning. Locally, something similar but more modest is being proposed under the newly rechristened “Sustainable Santa Cruz County” Regional Transportation Plan, where the eventual centerpiece will be a widened “Soquel Drive Corridor” from Dominican Hospital to Aptos, where hundreds of units of Stack n’ Pack housing will be built, close to planned public transit to include the much ballyhooed “Rail Trail” and possible train service. 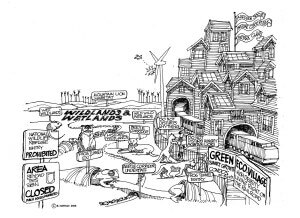 As part of enrolling us into this planned “sustainable” development, public “consensus” meetings have been held regularly by the Planning Department and Sustainable Santa Cruz County for the last few years. 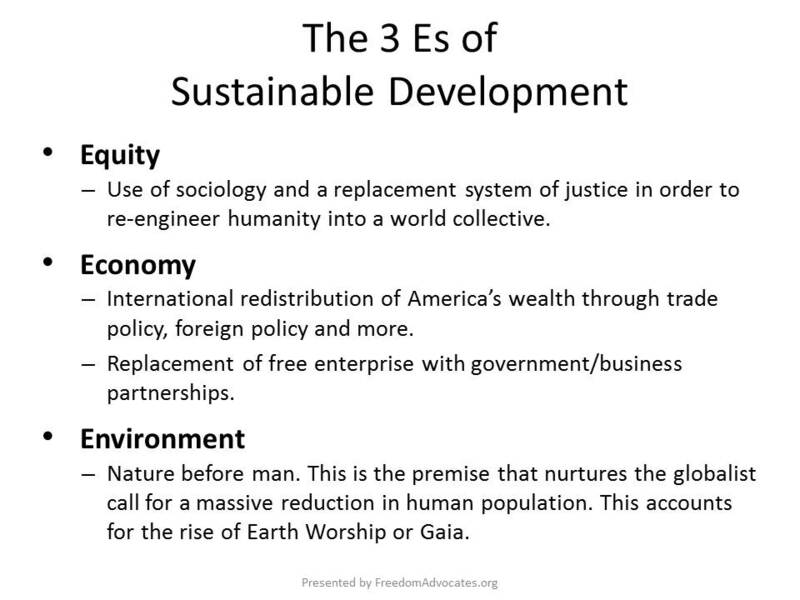 Recent Advances in the Globalist Programs for Sustainable Development — In 2015 we are seeing two major events to promote and re-energize global population control, and a very curious confluence of globalist social engineering and the Roman Papacy. From September 25 to 27 the U.N. will be holding its “Post-2015 Sustainability Agenda” conference at its New York headquarters, accompanied by an appearance of Pope Francis doing a formal presentation of his monumental ecologist encyclical “Laudato Si” (praised be). This conference is a clear extension of the Millennium Summit in 2000. Instead of the 8 “Millennium Development Goals” set there to be realized by 2015 (none have been), we are being given 17 this time, to be done by 2030. I will only share Goal 17 – “Strengthen the means of implementation and revitalize the global partnership for sustainable development.” Suffice it to say that The Agenda for the 21st Century slogs on. Then, from November 30 to December 11 in Paris, France, will come the massive propaganda onslaught of COP21, billed as “The U.N. Climate Conference.” Actually, COP stands for Conference of the Parties of the Kyoto Accords, so it’s interesting to see the event subsumed under the U.N. While even the 2014 IPCC report, in its section on the real climate science, admitted that there has been no significant warming of the planet for the last 15 years or so (despite the desperate pleas of upcoming disaster contained in the report’s “summary for decision makers”), we are now being lobbied relentlessly about “climate change” by the corporate media (and NPR) to prepare us for a draconian “carbon suppression regime” they hope to create at this conference. Any “carbon” taxes arising at this 12-day event are rumored to be, for the first time, going directly to the U.N. (“a credible United Nations”). I’ll briefly touch upon the apparent synchronicity of Pope Francis’ encyclical with the huge world effort to push the United Nations. While it’s easy to see why many people find some of the ideas expressed in it to be moving, even poetic, to me they seem rather diffuse and confusing. More than that, the Pope’s focus on pushing the need to respond immediately to a posited “climate crisis” and to problems eerily like those driving U.N. sustainable development, is quite striking. Some in the “climate reality” community are elated that the spiritual force of the Pope’s message may put their quest for a serious solution to carbon “pollution” over the top. If so, it will have been very convenient. Bruce Tanner is a researcher, writer and videographer on deep politics, deep history and the structural nature of the (non-existent) ego. He and his wife Cynthia live in Santa Cruz, CA.